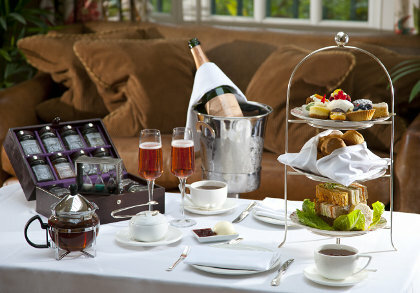 Montague on the Gardens offers awarding winning Afternoon Tea in touristy London. Welcome to Tea Tuesday, my weekly ritual of sharing tea with Downton Abbey fans. Canadians celebrated Thanksgiving yesterday. Lord D and I spent some time in the Kingston area, where the War of 1812 was fought; a special shout out to Eunice Chaplin, the owner of Blanche Dubois at Elysian Fields, the lovely B&B we stayed at in Napanee. A gourmet chef, she caters from her home and hosts a dinner club in the off season. More about Eunice another time, but if you are the area, Lord D and I highly recommend this great B&B with beautifully appointed rooms topped off with a gourmet breakfast. While Americans have likely started to plan their own Thanksgiving celebrations in November, Downton fans are also counting down the days until the January 6th PBS launch. This will give US foodie fans time to carefully plan S3 launch parties (check out my link to upstairs/downstairs theme ideas). Do consider supporting Vermont Public Television’s Downton Abbey Inspired Culinary S3 Launch Weekend at the Essex Resort in Vermont (see details below). The British may have historically failed in other culinary areas*, but excel in the tea ritual. Each Tuesday I dish on Downton Abbey, the Royal Family, UK tourism and other topical tea issues one might discuss at tea, served up with a tea treat recipe with history. 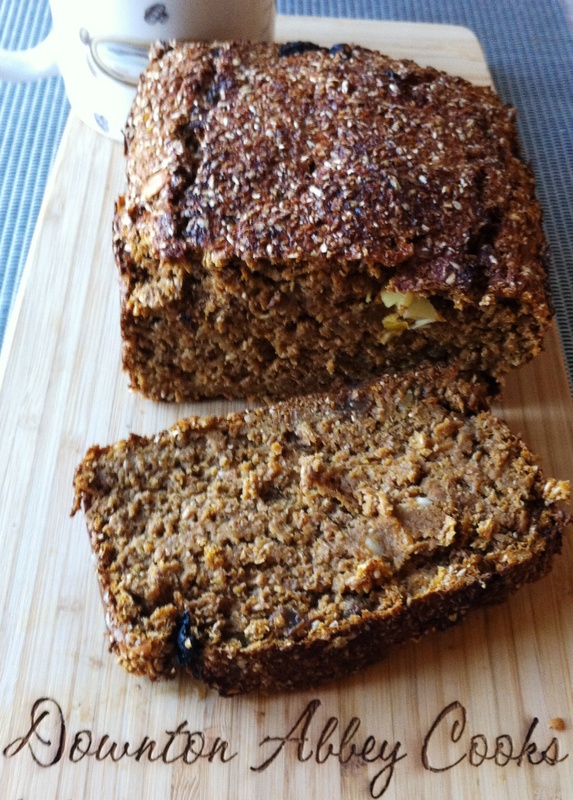 Today’s treat is Guilt-Free Pumpkin Bran Loaf to continue our celebration of Fall. Taking a traditional “afternoon tea” is definitely a bucket list experience. To do it properly, I have created a handy guide to help you enjoy the experience. I highlight a famous London tea house each week, but do check out and support the tea houses in your local community. Send in a pic and I will post it here and on my Pinterest Tea Board. My Downton Abbey Cooks Online Guide to Afternoon Tea. 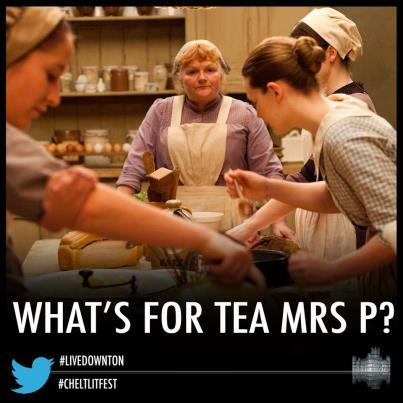 A heart felt thank you for sharing my passion for Downton Abbey, history and food. We now have 132,000+ views here since January when I started Downton Abbey Cooks and I chat daily with many of the 6,000 twitter followers @downtoncooks. Also check out the posted links to my Facebook and Pinterest pages. Vermont Public Television: Check out my interview with VPT and my involvement with their big Season 3 launch weekend, outlined below. We Women: To learn more about how you too can become a Downton Abbey Cook, read my interview in Downton Abbey Cooks: Take over Mrs. Patmore’s Kitchen in WeWomen magazine. Jungle Red Writers: Check out my interview with the ladies at Jungle Red Writers. I will be also be hanging out to chat with their fans tomorrow, on Wednesday, Oct. 10th. Vermont Public Television is hosting a Downton inspired culinary weekend January 5th/6th to launch Season 3 at the renowned Essex Resort. I am honored to be playing a part in the proceedings. Lord D and I look forward to this wonderful event of fabulous Downton food and festivity, capped with viewing of S3E1 on a large screen. Tickets are now on sale, and I will be providing more details for this event in this fundraising event in support of public television. If your corporation would like to help support this event through sponsorship, contact me and I will be happy to put you in touch with the event organizers. When is Downton Day? Keep track with Downton Abbey 2013 Wall Calendar, now available. Stay tuned for my calendar giveaways in the coming weeks, or buy your calendars for yourself and fellow Downton fans through Amazon. More Downton Etiquette: from Black Tie to which spoon is which, William Hanson reviews S3 Ep. 4 for Huffington Post UK. Season 3 Ep. 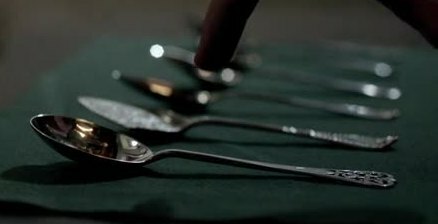 4 Kitchen Spoilers: Mrs. Hughes brings the electric toaster to Downton, and quickly learned how to make burnt toast, while Daisy gets what she has always wanted, and lost her heart’s desire all in a span of 2 minutes with the arrival of Ivy. Katy Perry’s colored hair is old news. Some fashionable Edwardian ladies sported colored wigs, a trend created in Paris in 1913 for the 1914 social season. Fall signals the seasonal harvest of pumpkins, and while you can buy canned pumpkin any time of year, when those bright orange orbs appear at your local grocer it is hard to resist picking up a few to display on your front steps, to carve into jack-o-lanterns. Cooks delight in turning the flesh into pumpkin pie and breads. We have already prepared heathy pumpkin banana bread, and low fat pumpkin tartlets, and there are so many other dishes to enjoy from pumpkin soup, pumpkin butter, to the traditional pumpkin pie. Pumpkin puree is easy to make: you can select baking pumpkins for the best texture, but not necessary. Take a sharp knife and cut the pumpkin in half from stem to stern. Scoop out the seeds and pulp, and reserve to clean, toast for a healthy pumpkin seed snack. Place the pumpkin on a cookie sheet, skin side up in a 350 degree F oven for about an hour. Scoop out the flesh and mash. Depending on the size of the pumpkin you will yield a few quarts of puree which you can freeze. Optional: 1 cup chopped nuts in addition to the fruit or on it’s own. Makes 1 large loaf, or 12 muffins (cook for 20 minutes). Preheat oven to 425 degrees F and prepare a large (9 inch) loaf pan with cooking spray. Combine bran, sugar, flour, baking powder, spices and salt in large bowl. In another bowl, mix pumpkin, milk, beaten egg whites and apple sauce together. Add wet ingredients into dry, stirring only until blended. Bake for at least 1 hour. The bran will form a wonderful thick crust, but double check with a toothpick inserted in the middle comes out clean to ensure the pumpkin is fully cooked. Remove from pan and cool on racks. *English Cookery– the worst in the world? IT HAS BEEN ASSERTED, that English cookery is, nationally speaking, far from being the best in the world. More than this, we have been frequently told by brilliant foreign writers, half philosophers, half chefs, that we are the worst cooks on the face of the earth. I think the dowager countess was talking about a musical revue (a theatrical genre) instead of a review (critique). I only just learned about your blog, but I’m loving it already. Thank you for writing! You are absolutely right. I missed the spell checker’s incorrect correction. Thanks for pointing this out.